This camera was originally made to a focal lenght of 65mm, but during an exposure the wind made it fell and it was destroyed. As part of the repair I shortened the focal length pretty much. I also moved the film holder spring to new 65mm camera, and based this one on rubber bands, a simpler, but still a very functional solution. 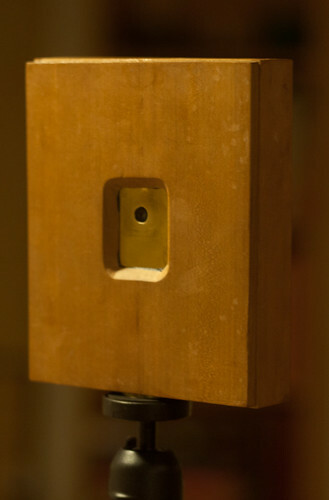 The camera is just finished, and not tested yet.